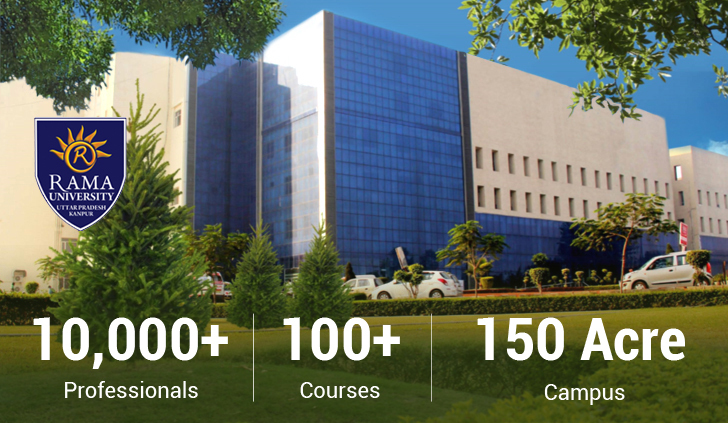 Agriculture is the most prestigious constituent of Rama University. It performs a dynamic and innovative education program to meet the modern challenges of scientific manpower, vital and relevant research and effective extension services. Agricultural Engineering is the discipline that applies engineering science and technology to agricultural production and processing. The study of agricultural engineering combines the disciplines of animal biology, plant biology, and mechanical, civil, electrical and chemical engineering principles with knowledge of agricultural principles Faculty has played a great role in the Green Revolution in the country. Many varieties of various crops like cereals, pulses, oilseeds, forages, fruits and vegetables, etc. have been released due to the hard work of the scientists. The faculty has well equipped laboratories where students do experiments and get practical knowledge. Students are exposed to real life rural settings. Its aim is to develop a sense of awareness among the students about the problems of farmers and rural people to inculcate professional attitude in facing real life problems. Major components are industrial attachment, field visits, village attachment and plant clinic. In industrial attachment students get attached to an industry and gain work experience over there. In village attachment students get attached to a village where they work under the guidance of farmers. They also help farmers in various operations. Field visits are organized to progressive farms, Krishi Vigyan Kendras, Horticulture Centers and IPM Laboratory, etc. In the plant clinic students undergo rigorous training. They diagnose the various problems of soils and plants related to production and give solutions or suggestions to farmers.